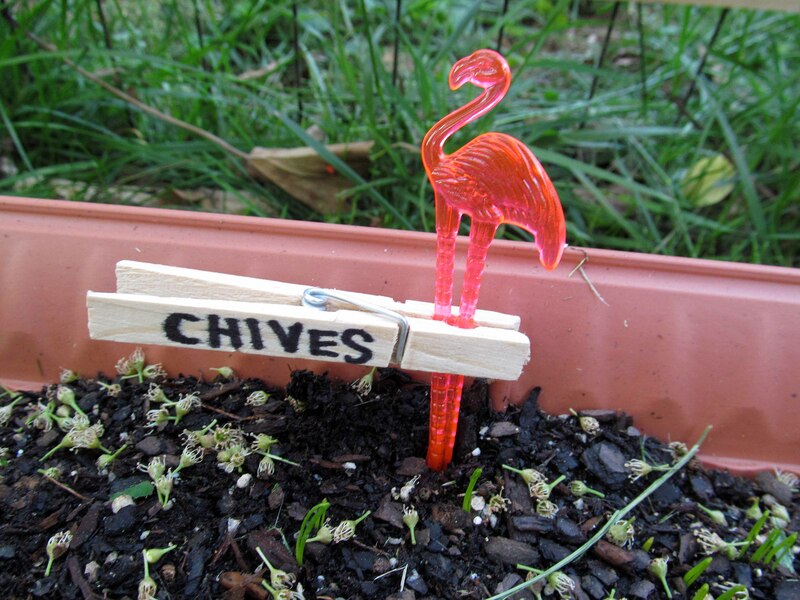 I shared yesterday that I love flamingos, and earlier in the month that I am in need of some garden markers for the herbs I planted. Well, on Thursday I was perusing the aisles of a dollar store trying to find fun craft things and I stumbled upon these adorable drink stirrers. 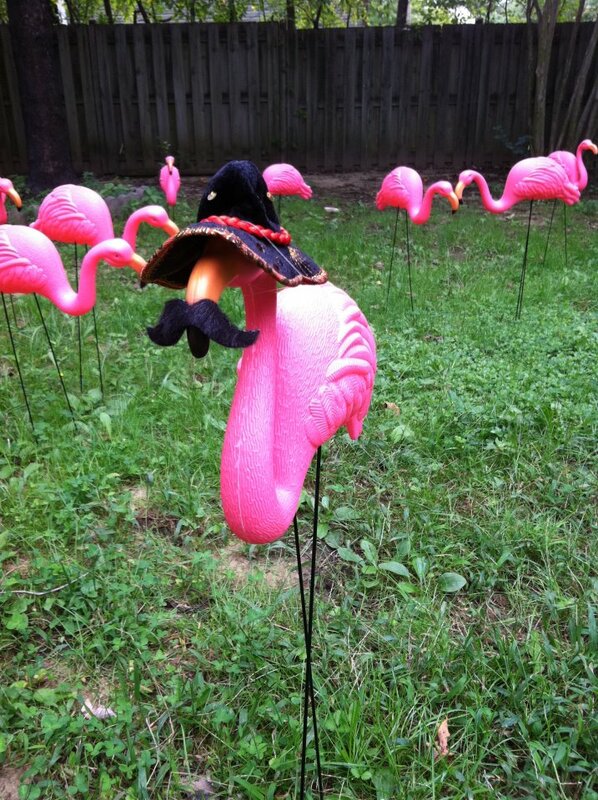 I scooped these up quickly with the idea that if I could have lawn flamingos (which I do…), then I could have garden flamingos! I also grabbed a pack of clothespins from the dollar store, then headed home to create my simple yet fun garden markers. 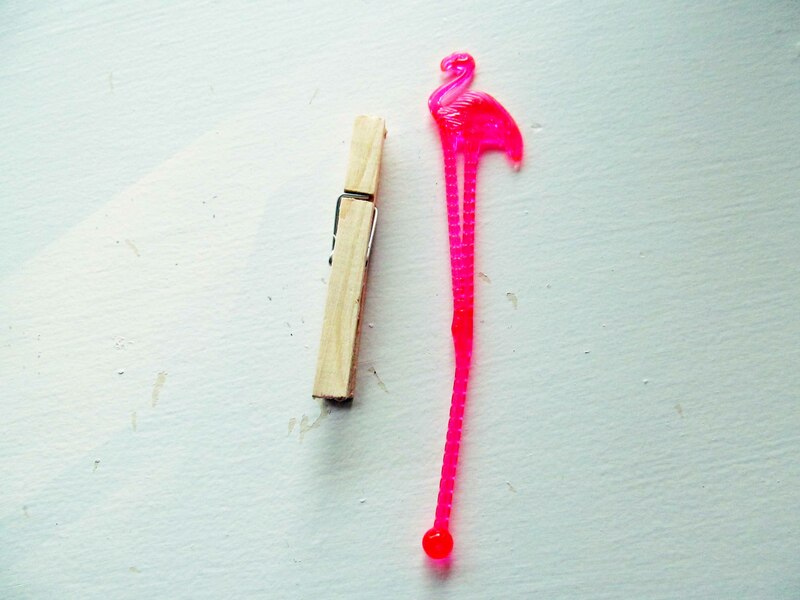 All you need for this project is a fin drink stirrer, a clothespin and a permanent marker. 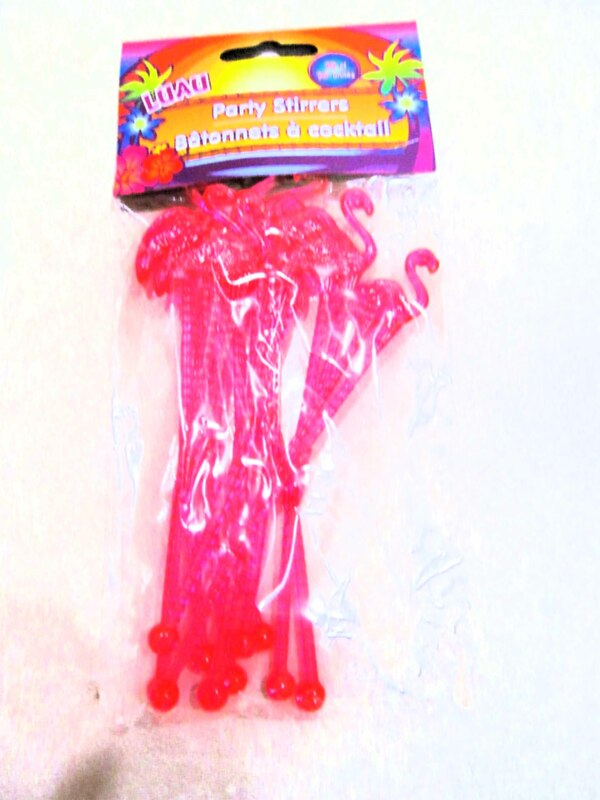 The dollar store had flamingo stirrers and palm tree stirrers, but I’m sure party stores have larger selections to choose from. 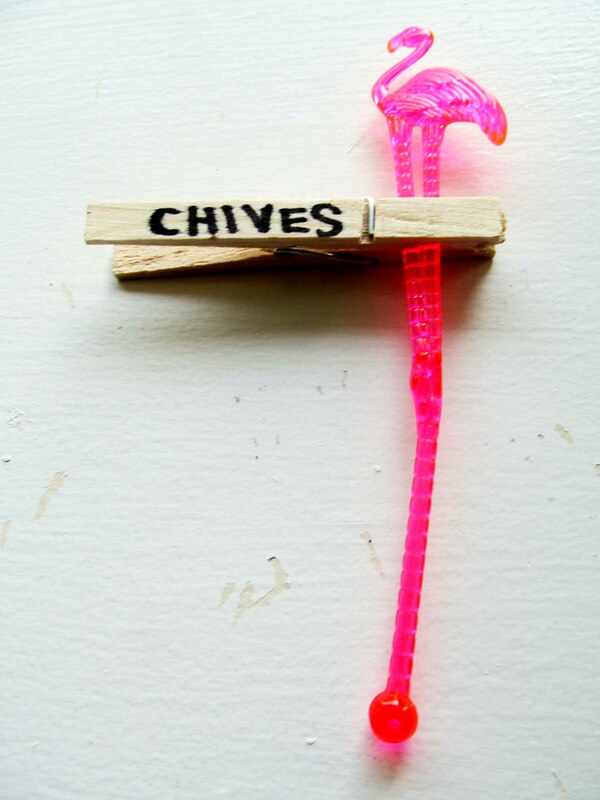 Write your herb name onto your clothespin and clip it to the stirrer. 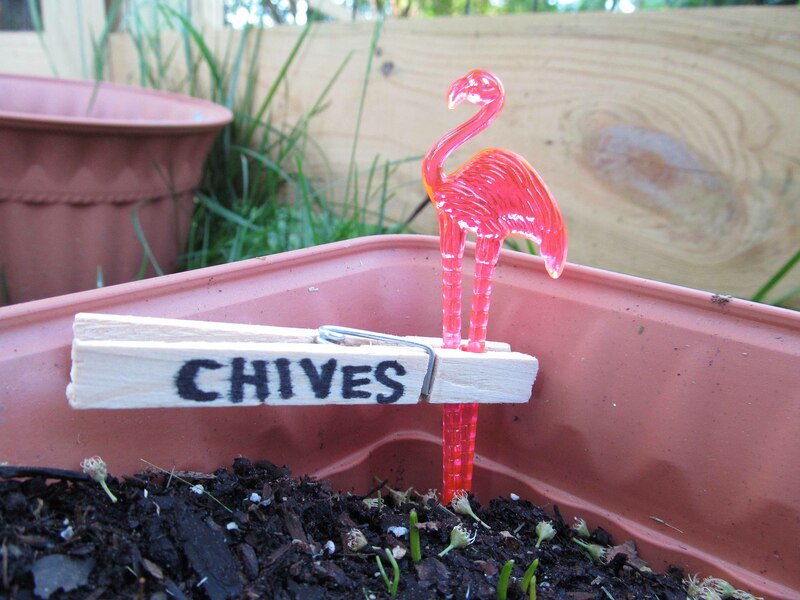 My flamingo marker is ready for the chives. For $2, my entire herb garden will have markers! 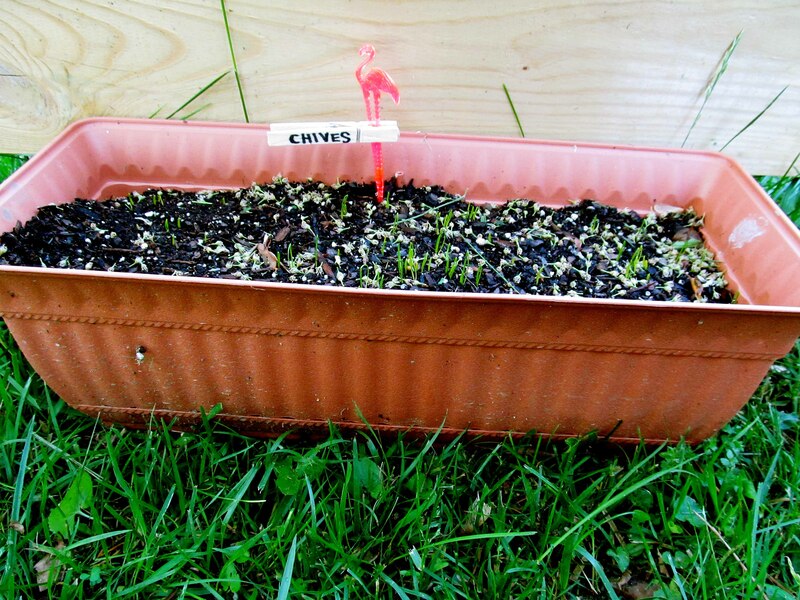 Once I put these in all my herbs (only the chives have sprouted), I’ll have my own mini flock! 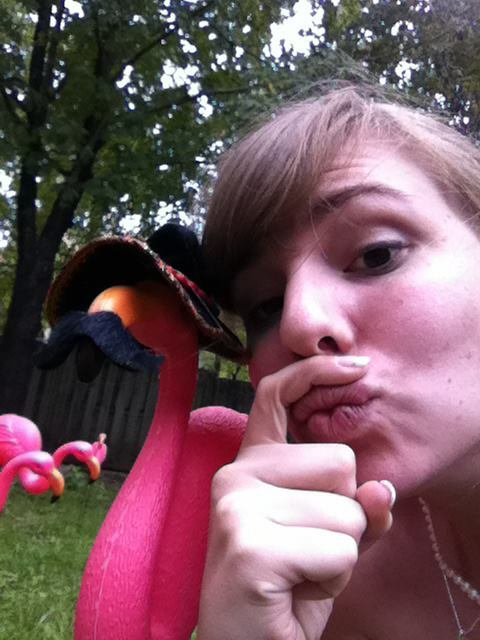 Oh, and if you are wondering why I might have the lawn flamingos I mentioned earlier… after we got back from our wedding the hubby and discovered that we’d been flocked! 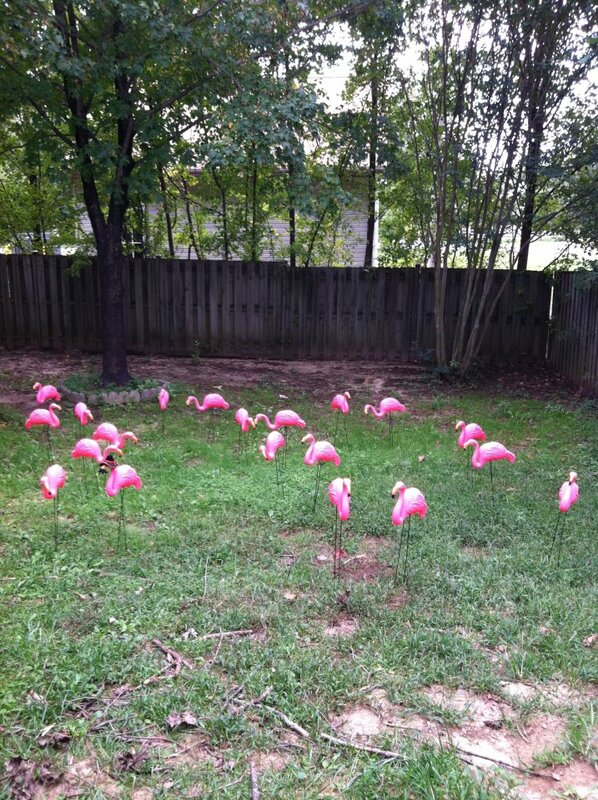 Our family members had bought 26 or so flamingos and scattered them throughout our back yard. It was hilarious. 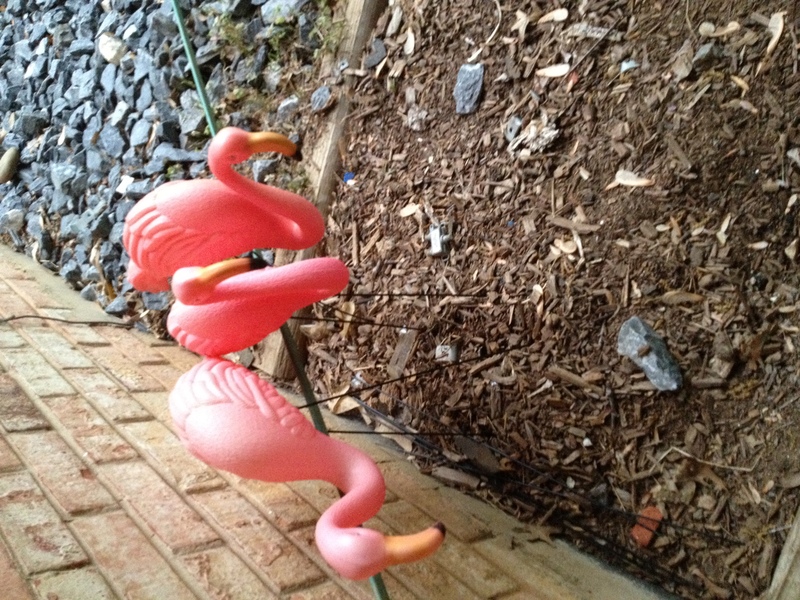 Most of those flamingos have made it to other places now, but I kept three for our patio for the fun memories. These three flamingos watch out over my yard. Bahaha. Too tacky!